Anne Weyembergh graduated in Law (ULB, 1993 – 1st Class Honours). She holds a Masters Degree in Public and Administrative Law (ULB, 1994 – 1st Class Honours) and a Masters Degree in International Law (ULB, 1995 – 1st Class Honours). She has completed a PhD in Law at the ULB (2003 – Alice Seghers Price). She is a full time Professor at the ULB (Faculty of Law and Institute for European Studies). Together with Serge de Biolley, she founded the European Criminal Law Academic Network (ECLAN) in 2004. She has been co-coordinating the Network (with Valsamis Mitsilegas and Katalin Ligeti) since then. She has been President of the Institute for European Studies of the ULB since October 2014. In addition, she is the coordinator of the team on European criminal law (Centre for European Law). 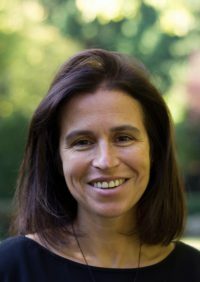 Anne Weyembergh has been the Chief Editor of the New Journal of European Criminal Law (with Paul De Hert, Valsamis Mitsilegas, Scott Crosby and Holger Matt) since May 2014. She has also been General Editor of the EU Criminal Law series of Hart Publishing (with Valsamis Mitsilegas and Katalin Ligeti) since 2014 and Member of the Comité de rédaction des Cahiers de droit européen (CDE). Her main research activities relate to EU criminal law (police cooperation and judicial cooperation in criminal matters) but also criminal law in other legal orders (national and international law) and European law more broadly, with a special focus on the area of freedom, security and justice. As a Professor at the ULB, she is in charge of the following courses : ‘EU criminal law’ (with Gilles de Kerchove), ‘International and European Criminal Law’ (with Vaios Koutroulis), ‘Droit pénal général et spécial approfondi’ (with Patrick Mandoux and Marc Preumont), ‘Europe’s area of freedom, security and justice, challenges and outcomes’ (with Ramona Coman) and ‘Méthodologie de la recherche et de la rédaction en droit pénal’. She has been invited as a guest lecturer to other Belgian and foreign universities, such as the University of Luxembourg, the University of Geneva, the University of Catania, the University of Padua, the University of Leiden, the University of Macau, the University of Montréal, the University of Birzeit or to judicial training institutions (for instance the Ecole Nationale de la Magistrature in France). From 2007 to 2012, Anne Weyembergh was Assesseur at the Belgian Conseil d’Etat, in charge of checking compliance with EU law within the legislative department. WEYEMBERGH, A., “Approximation of substantive criminal law: the new institutional and decision-making framework and new types of interaction between EU actors”, in Approximation of substantive criminal law in the EU, Editions de l’Université de Bruxelles (IEE), Bruxelles, 2013, pp. 9-33.